What are your Visual Studio tips? As I announced yesterday I will be speaking at the Philly Code Camp 2009.1 on Visual Studio 2008 for beginners. As part of this presentation I want to be able to provide the 10 most valuable tips for beginners using Visual Studio. 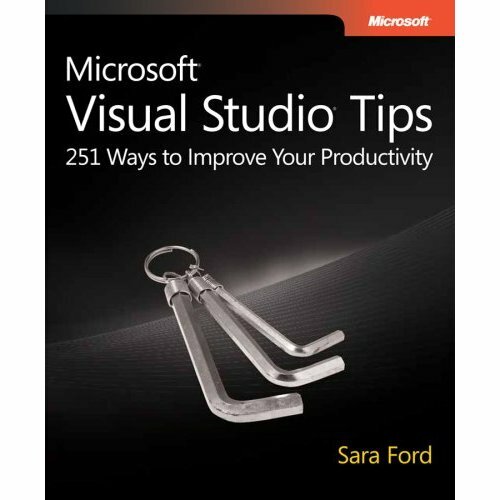 I did a quick search of the internet last night, on this subject, and everything seemed to point to Sara Ford as the defacto standard on Visual Studio tips. She even has a best selling book on the subject, appropriately called Microsoft Visual Studio Tips. The problem is that she has 251 tips in the book, and 382 tips on her website and I need to widdle this down to the top 10. What are yours? If you have a favorite please include it in the comments below with a link (if possible).